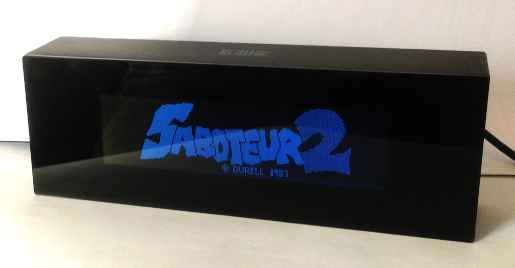 Since I became the owner of the Verbarius clock, I wanted to extend it's functionality. Speaking shortly, these clocks show current time using different words in different languages. First, I wanted to add an ability to display time using numbers and hands. Second, the pixel screen evoked in me memories of the 8 bit aesthetics. UPDATE: Just published some source code on GitHub and added new, babylonian numbers clock generator. Have fun! According to the official updates page, files with names like rdXX.sys are the language packs — each file corresponds to one language. Almost all of them have the same size, so it's reasonable to suggest that all data is stored in a non-compressed bitmap format. Different files have the same size (29 491 200 bytes) -> the data is stored as uncompressed images. The most frequent byte values are 0x00 and 0xff -> the data is stored in a plain unencrypted way. There are 60*24 = 1440 minutes a day, for every minute there could be presumably from 6 to 10 alternative spellings -> the language pack should contain from 8640 to 14400 different frames (approximately 2k-3.5k bytes per frame). Visual approximation of the screen size — 300 x 60 pixels, and the screen is black&white -> the most likely storage format is bit-per-pixel. Each frame could be preceded by the header of a fixed length. The whole file could be preceded by the header of a fixed length. 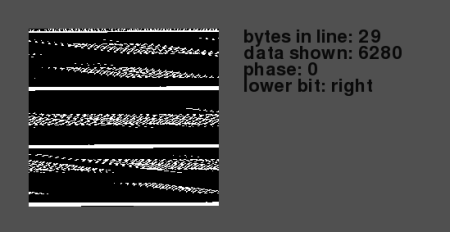 The header of the frame has a length of 128 bytes. There is no special header in the beginning of the file. 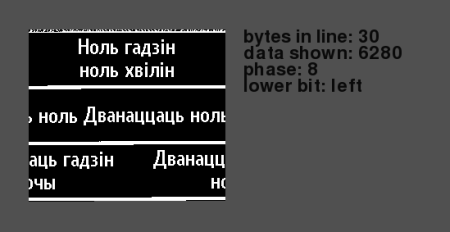 Each frame has size of 240х64 pixels, stored in the bit-per-pixel format -> the full length of frame is 1920+128 bytes. For each minute there are exactly 10 frames stored, even if some of them are not used. the remaining bytes of the header are never used. it was noticed that in some of the official language packs the title of the very first frame contains a special language pack's label, for example: "md5:62696db605b3f65fb1fdc3f08e140e89 2009-Mar-13 18:23:44 the Belorussian"
Based on the collected information another simple python script was written. It allows you to build a custom valid language pack from the set of arbitrary images of a suitable size. Further opportunities were limited only by imagination.